For all you wimps out there, some breeders are developing roses with no or very few thorns. "Smooth Touch" roses have no or hardly noticeable thorns. 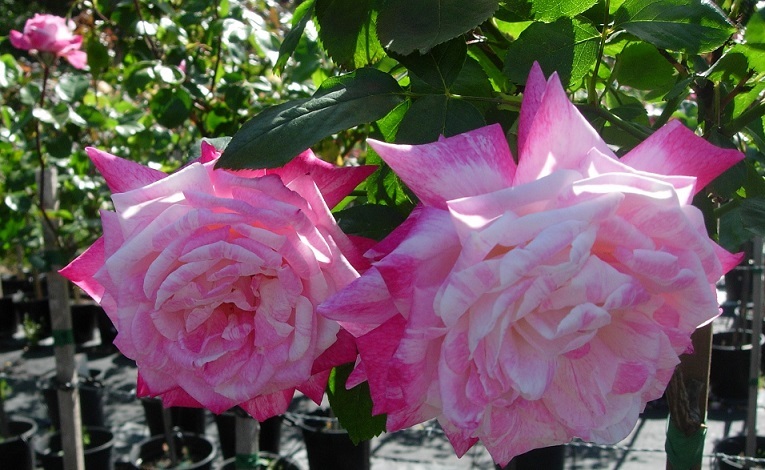 They are an ever-increasing range of roses including large flowered hybrid-tea, floribunda and climbing types. The flowers themselves are desirable and worthy of consideration - it's a bonus that the plants are practically thornless.